This month, Mike and I went to Spain and Portugal to celebrate our birthdays and anniversary. 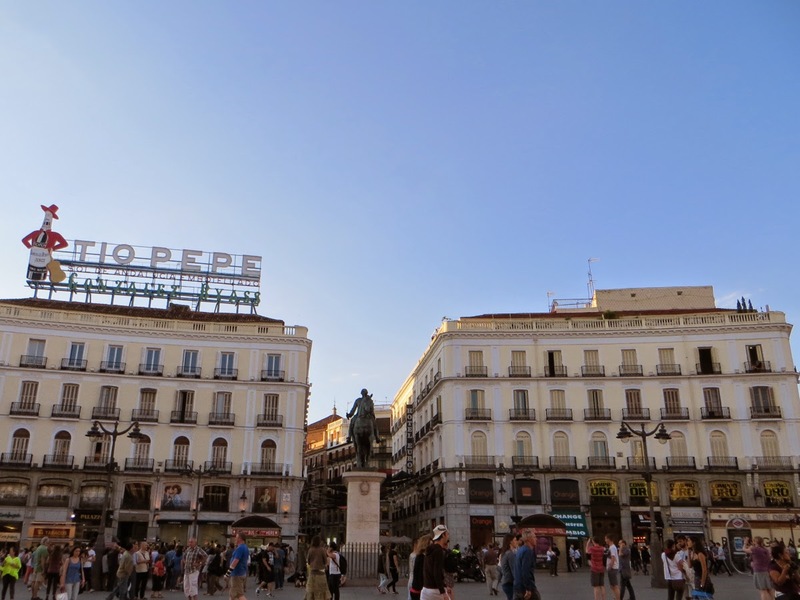 Our first stop was Madrid, where despite a few language barriers, we found the locals to be extremely friendly and helpful. One thing that surprised me greatly was that the central core was much smaller than I expected, and we were able to walk everywhere, even though we were conveniently staying next to a Metro station. Another surprise was the significant number of Japanese restaurants in the area... not that we tried any, being snobby Vancouverites (and the fact that sushi was something like 20 euros for a few simple maki rolls). Our first night was spent watching a flamenco show over paella, which was just about the most Spanish thing we could think of to do. On our second night, we wandered into a tiny eight-table restaurant, and was ironically seated next to a couple also from Vancouver (it's a small world after all). Now that we're home, I might have to take up their tip on going to Espana in the West End to get my dose of Spanish tapas in Vancouver. 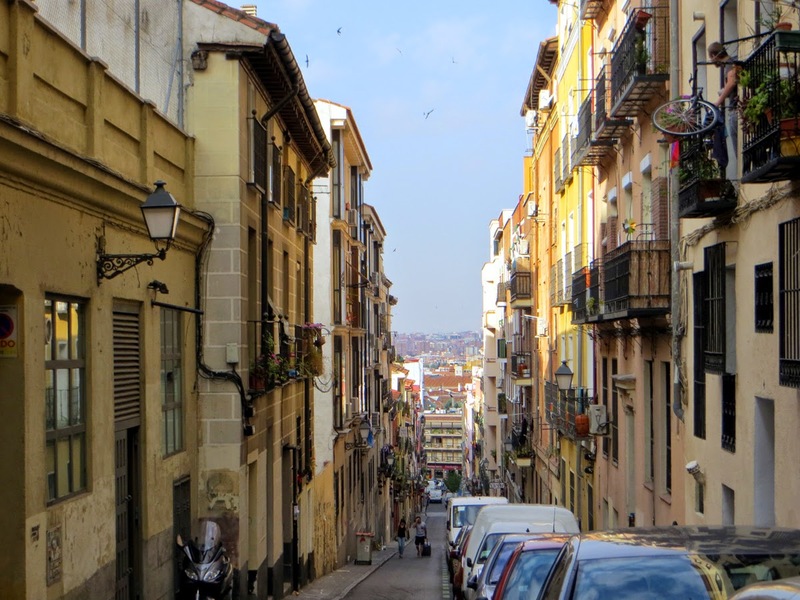 It was a particularly exciting time in Madrid due to two things - first, the World Cup (although Spain unfortunately did not do very well... neither did Portugal; we're quite the bad luck charms). Secondly, King Juan Carlos abdicated his throne and was replaced by his son, King Felipe VI, during our visit. 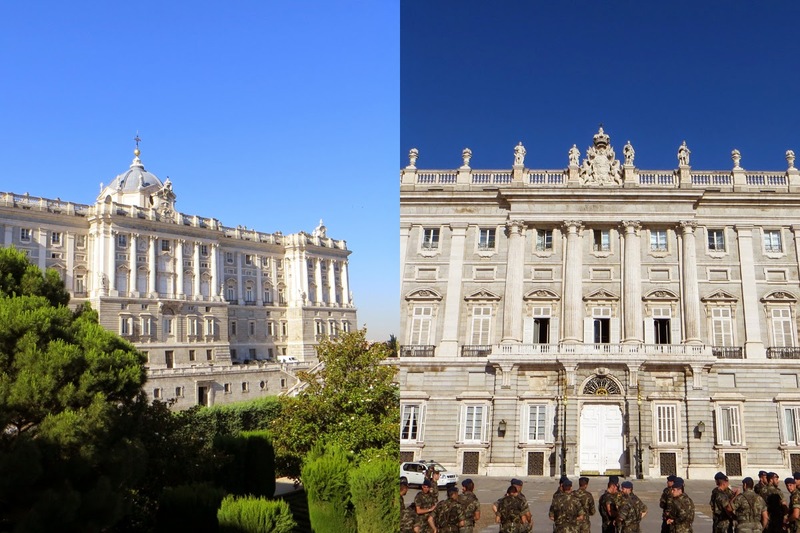 This meant we were unable to visit the Palacio Real de Madrid (Royal Palace of Madrid, pictured above) as intended, but it was neat to see the troops practicing outside the massive building for the king's arrival. Street performers and musicians were rampant in tourist areas, especially at Puerta del Sol (above). This plaza leads to a number of shopping and eating areas. Although busy, crowds moved at a leisurely pace, which made Madrid the perfect place to start our vacation. 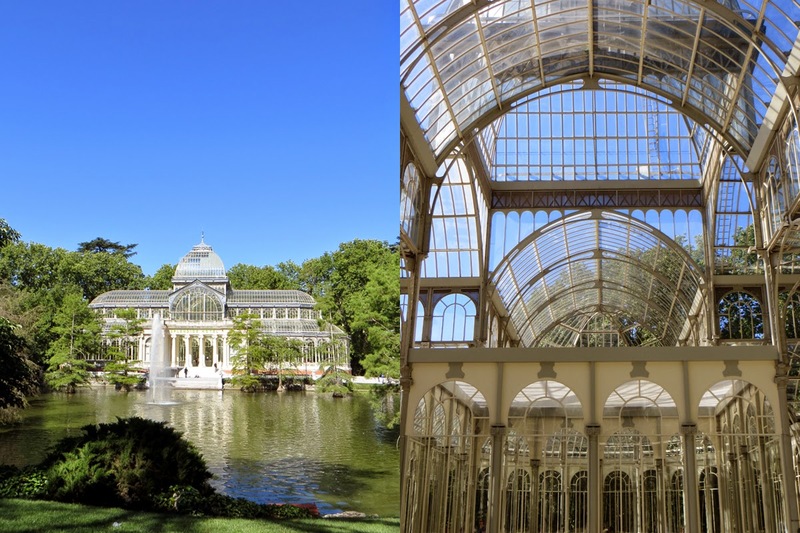 Madrid also boasts a relaxing park in the city, Parque del Buen Retiro, which contains the beautiful Palacio de Cristal (Crystal Palace, above). The park was very large (we got quite lost), and even has an artificial lake at the centre where boats were available for rent. 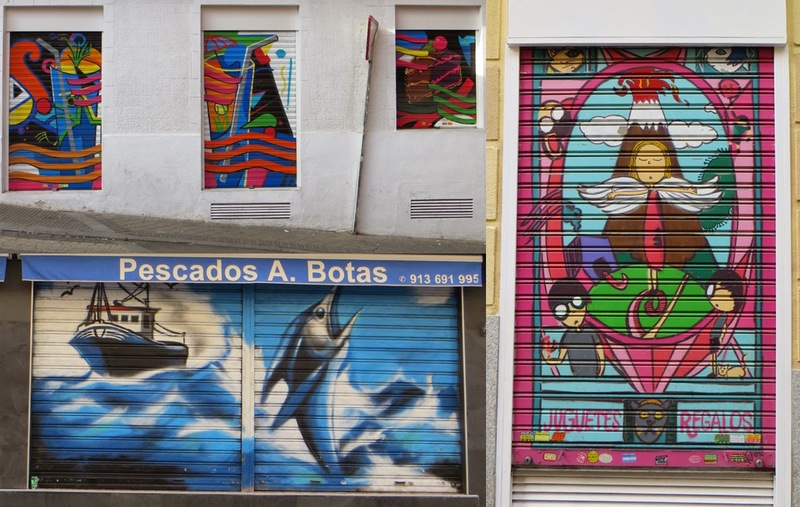 Madrid was great to wander even when stores were closed due to amazing shutter art. A few of my favourites are pictured above.